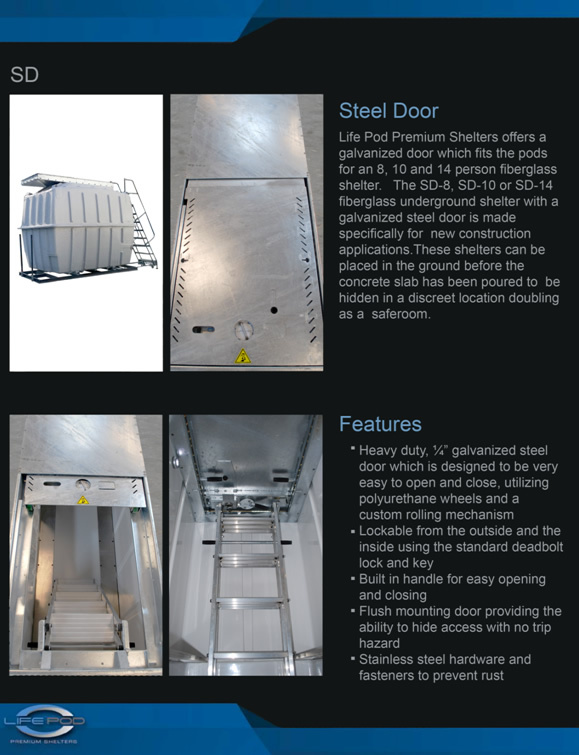 If you are building a new home, or incorporating a new addition to your existing home, we have many options for you to include a storm shelter in your plans. 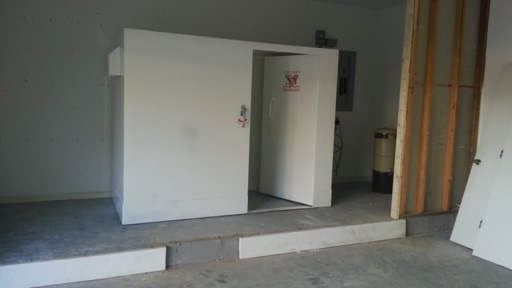 If you prefer to be above ground, but have the convenience of entering your safe room from the inside of your home, we can virtually put your safe room in any room you choose. 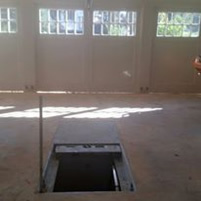 This safe room was installed in a future closet of a new construction home. We typically install the shelter as soon as the slab is poured. 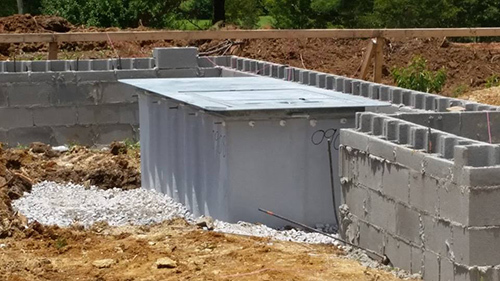 Lake Martin Storm Shelters makes it easy for you not to delay your building progress by anchoring the safe after the concrete has cured (which takes approximately 21 days) on a second visit. This allows the builders to continue progress with the walls, roofing, sheetrock and electrical. 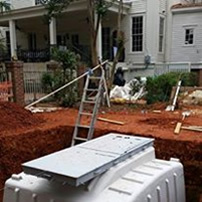 For those who want to be underground with the convenience of having access from the inside the home, this is the hot new trend in home building for storm safety. We install these shelters as soon as the land has been cleared and the strings with the elevation are available. 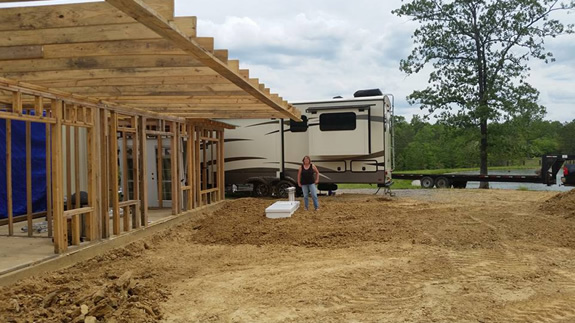 We can install after or before the footings are complete. These shelters can literally go anywhere you choose inside the home. The locking steel door lies flush with the concrete and can be easily hidden under a throw carpet. This one went into a new garage with a living quarter upstairs. You can go with a steel top or regular top. The difference would be that one would be flush with the concrete slab and the other would not be flush. 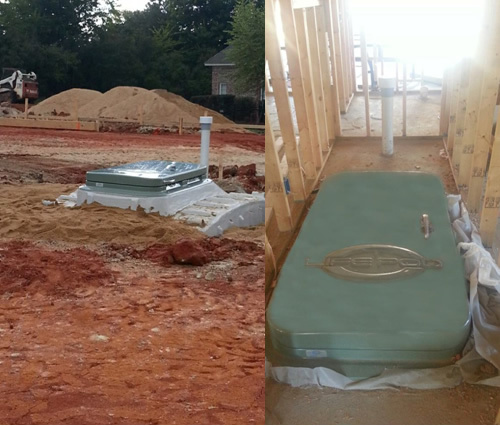 These photos show a regular top and the shelter was placed in a closet of a new construction home. 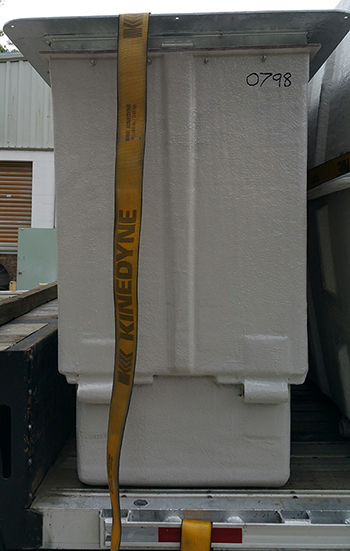 All of our underground fiberglass storm shelters with flat doors can go into a new construction home. We have sizes that can accommodate up to 20 people. This is a Refuge 2 which seats up to 10 people. This family had it installed in their new addition. It will be placed in the enclosed porch. This Refuge 2 was also placed in a new addition porch. The IGF unit is designed to go into a existing garage. We cut the concrete and set the shelter. 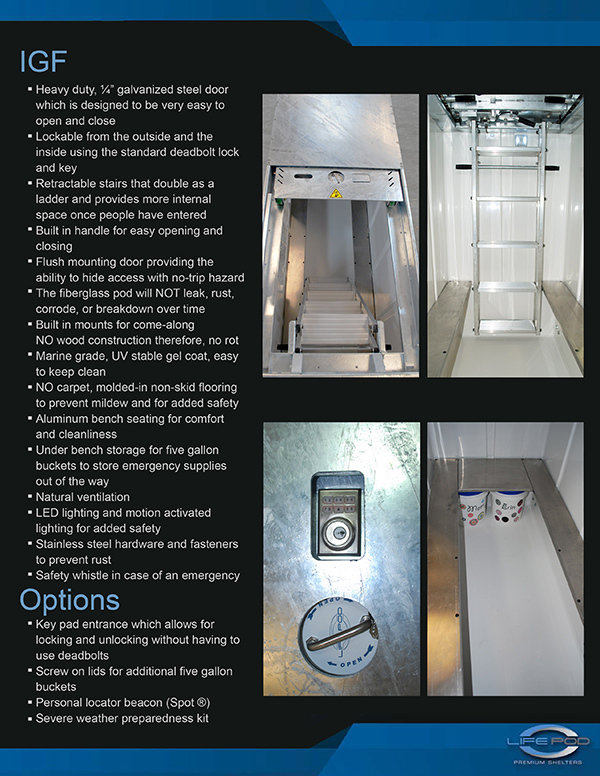 Mostly, we’ve installed this unit in new construction homes, placing it virtually anywhere inside the home. 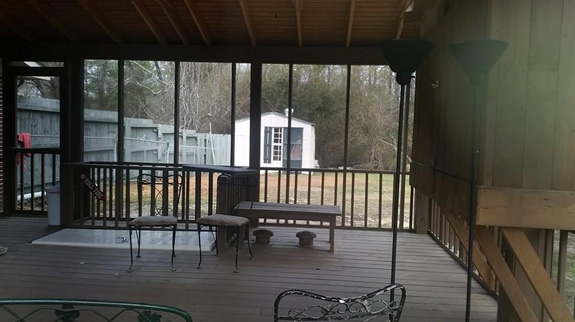 This shelter is 3′ wide X 7’6″ long X 5’6″ tall.